Share the same code for working with data on different platforms! LinqConnect is a database connectivity solution that works great on different .NET-based frameworks, including Full .NET Framework, .NET Core, Silverlight, Mono, etc. 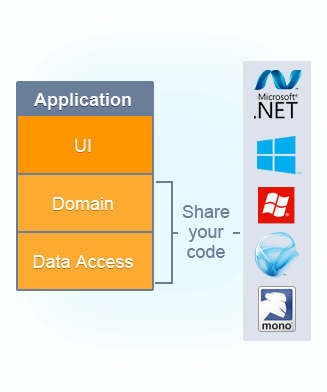 In addition to LINQ data access, it offers you ADO.NET interfaces for Silverlight, Metro, and Windows Phone, that was not available for these platforms before! 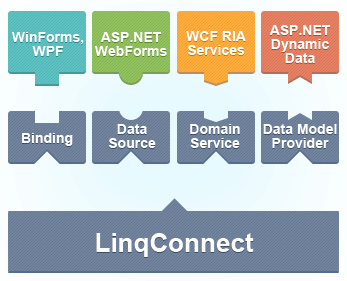 Moreover, for these platforms, LinqConnect provides a managed embedded database engine from C# SQLite project for working with local SQLite databases. For more details, visit the following pages: LinqConnect for Metro , LinqConnect for Silverlight , and LinqConnect for Windows Phone . LinqConnect makes creating data access layer simple and convenient. With it you can write high-performance cross-database applications. With LinqConnect you get the complete set of tools: ORM, visual model designer, data providers, and SQL monitoring tool. We provide fast and high-quality technical support for our products. Reported bugs are quickly fixed, and user's suggestions are implemented. Our roadmap is based on your feedback, and we release new builds and versions regularly. 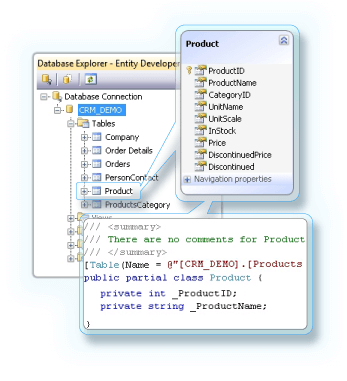 You don't need to be a database professional or very high-skilled programmer to use LinqConnect. And in case you are not satisfied - we provide 30 days money-back guarantee. You can get a significant discount, and even a free license, by spreading a word about LinqConnect. Send us a link to your Oracle ACE profile and get a free license for any ORACLE product!